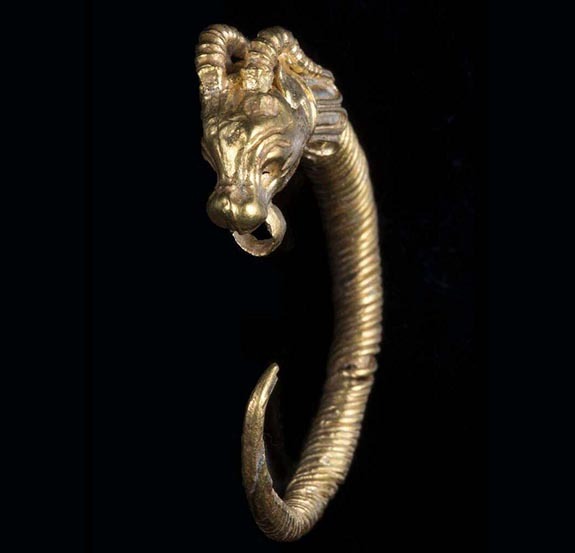 A team of archeologists from Tel Aviv University and the Israel Antiquities Authority unearthed an elaborately worked 2,200-year-old golden earring bearing the likeness of a horned animal. 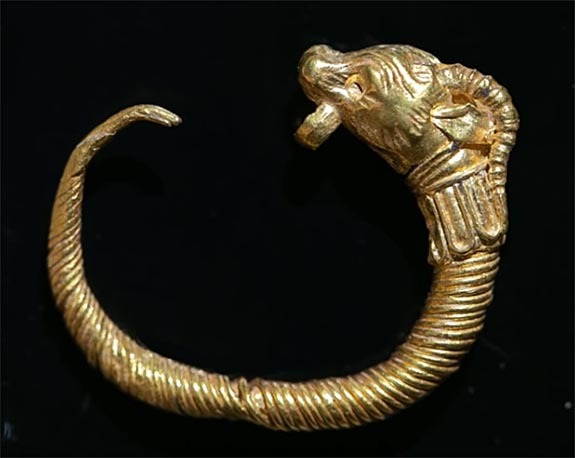 The hoop earring was discovered during excavations just outside Jerusalem’s walled Old City and was likely worn by a member of the elite class during a period of Greek influence. The earring is 4 centimeters long (about 1.5 inches) and reflects a crafting technique called “filigree,” in which fine threads of precious metal and tiny beads are used to create delicate and complex patterns — in this case, the head of a ram, antelope or deer with large eyes and other distinctive facial features. “We also learned from this excavation that the residents of this area were not peasants who settled in empty areas on the periphery of the central area, but rather the opposite—they were well-off people,” they said. 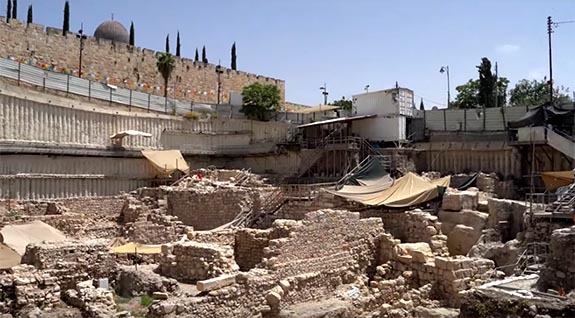 The special find will be on public display during the City of David’s 17th Annual Archaeological Conference scheduled for September 8.